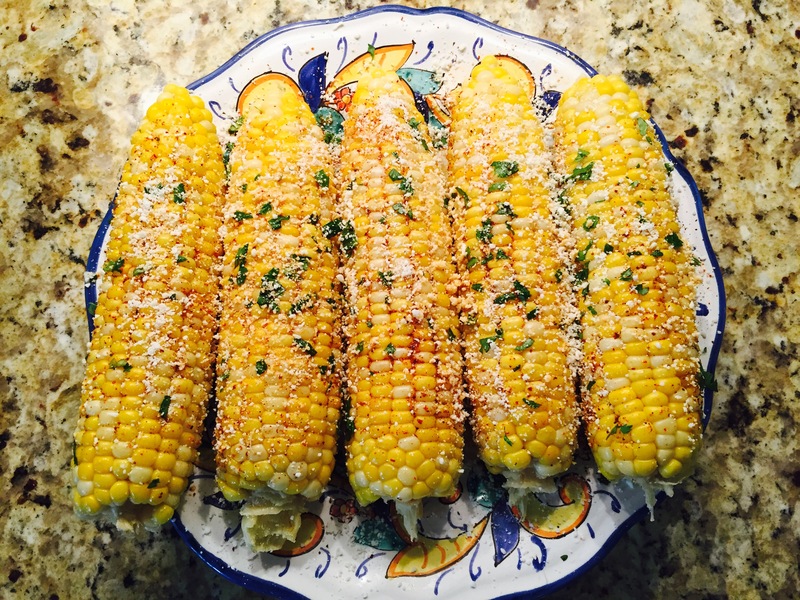 This corn is just as easy to prepare as it is delicious….and you don’t even have to fire up the grill! 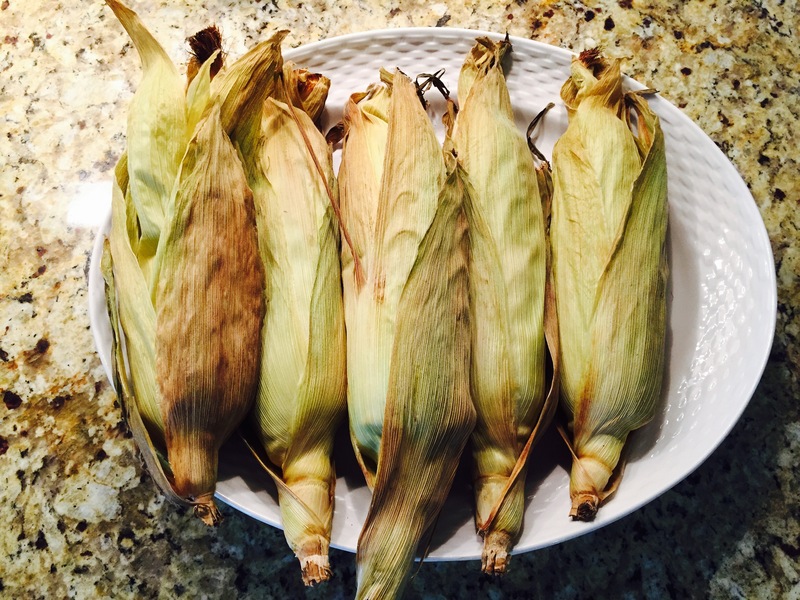 Begin with 5-6 corn cobs still in the husks. 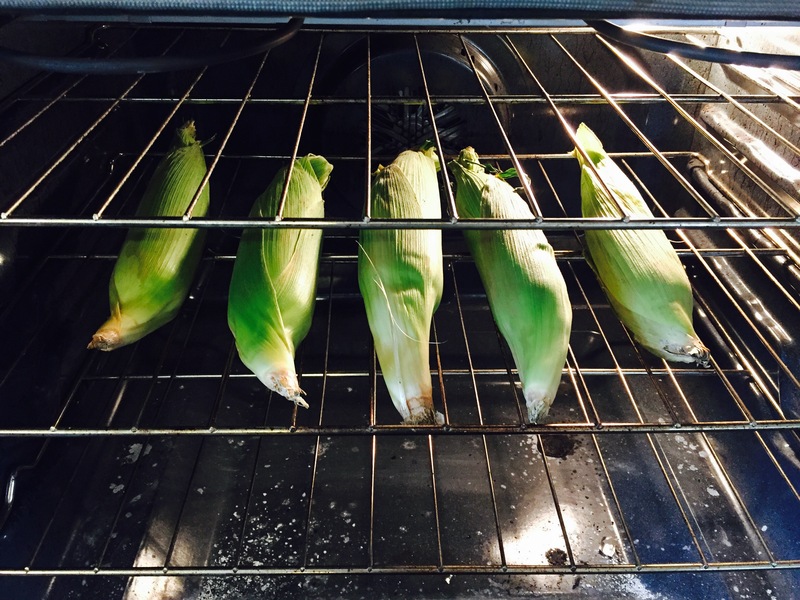 Place them on the racks of a 350 degree oven for 40-45 minutes until tender. They will look like this when they are done, and the smell is absolutely amazing. 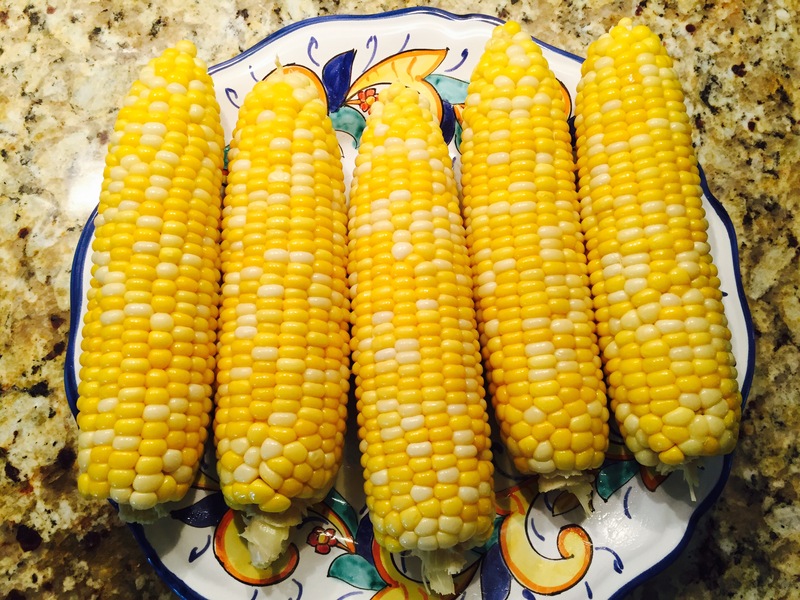 Remove the husks and rub about a tablespoon of unsalted butter on each ear. Then sprinkle with chili pepper, cotija (Mexican grated cheese), chopped fresh cilantro and lime juice. Wow, just wow.